For reviews, traveler tips, photos, and more tourist information, go to the Porvoo route planner. Tel Aviv, Israel to Porvoo is an approximately 9-hour flight. Expect slightly colder weather when traveling from Tel Aviv in July: highs in Porvoo hover around 24°C, while lows dip to 15°C. Cap off your sightseeing on the 11th (Thu) early enough to travel to Koli National Park. 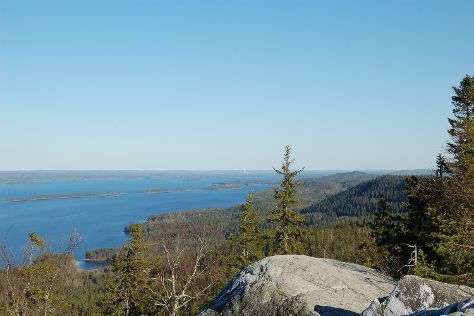 On the 12th (Fri), tour the pleasant surroundings at Paimenen Polku Trail, hike along Akka-Koli Hill, and then tour the pleasant surroundings at Paha-Koli Hill. 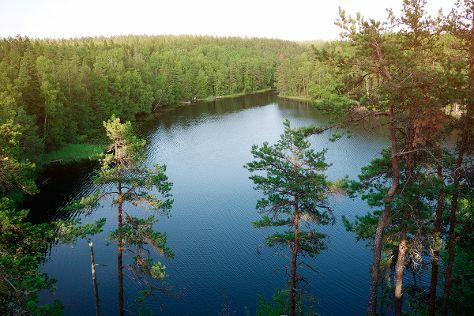 Get ready for a full day of sightseeing on the next day: explore the activities along Pielinen, stroll through Kasken Kierros Nature Trail, then trek along Ukko-Koli Hill, and finally tour the pleasant surroundings at Kolinuuron kierros Nature Trail. To see maps, other places to visit, ratings, and other tourist information, read Koli National Park attractions planner . The Route module can help you plan travel from Porvoo to Koli National Park. In July, daytime highs in Koli National Park are 24°C, while nighttime lows are 13°C. 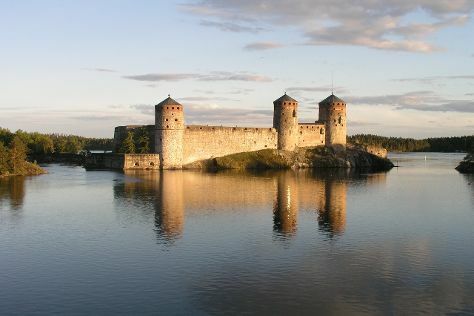 Finish up your sightseeing early on the 13th (Sat) so you can travel to Savonlinna. On the 14th (Sun), examine the collection at Lusto - The Finnish Forest Museum, take in the spiritual surroundings of Kerimaki Church, examine the collection at Savonlinna Provincial Museum, step into the grandiose world of Olavinlinna Castle, then take in the architecture and atmosphere at Pikkukirkko, and finally pause for some photo ops at Savonlinna Herostatue - The Hero's Grave. To see where to stay, other places to visit, reviews, and tourist information, refer to the Savonlinna attractions planner. You can drive from Koli National Park to Savonlinna in 3 hours. In July, daytime highs in Savonlinna are 24°C, while nighttime lows are 13°C. Finish your sightseeing early on the 14th (Sun) to allow enough time to drive to Tampere. 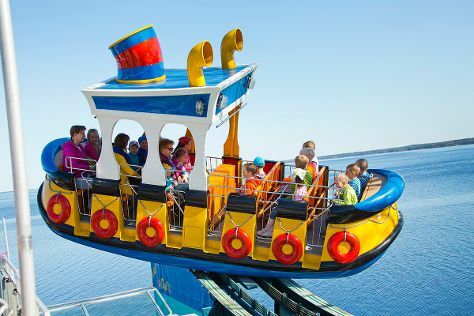 Kick off your visit on the 15th (Mon): try out the rides at Sarkanniemi Theme Park. Get ready for a full day of sightseeing on the next day: enjoy the sand and surf at Rauhaniemi Beach, then contemplate in the serene atmosphere at Tampere Cathedral, then look for all kinds of wild species at Hatanpaa Arboretum, and finally enjoy breathtaking views from Pyynikki Park and Observation Tower. Find out how to plan Tampere trip without stress by asking Inspirock to help create an itinerary. You can drive from Savonlinna to Tampere in 5 hours. Alternatively, you can do a combination of flight and train; or do a combination of bus and train. Expect a daytime high around 24°C in July, and nighttime lows around 13°C. Cap off your sightseeing on the 16th (Tue) early enough to catch the train to Helsinki. Get some historical perspective at Rock Church and Uspenskin Cathedral (Uspenskin Katedraali). 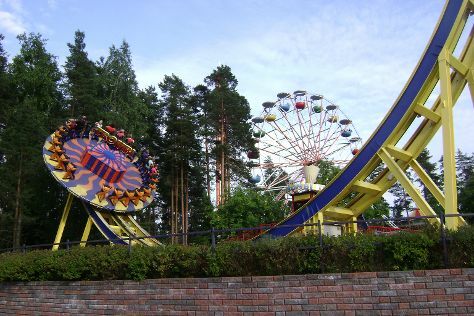 Kids will enjoy Nuuksio National Park and Linnanmaki Amusement Park. 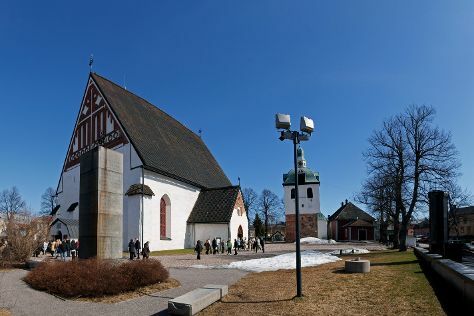 Next up on the itinerary: learn about all things military at Sea Fortress Suomenlinna, take in the spiritual surroundings of Kamppi Chapel of Silence, take a stroll through Katajanokka, and appreciate the extensive heritage of The Esplanadi Park. To see more things to do, maps, and other tourist information, you can read our Helsinki trip planner . Traveling by train from Tampere to Helsinki takes 2 hours. Alternatively, you can drive; or fly. In July, plan for daily highs up to 25°C, and evening lows to 15°C. Finish up your sightseeing early on the 20th (Sat) so you can catch the train to Kouvola. Kouvola is a town and municipality in southeastern Finland. Kick off your visit on the 20th (Sat): examine the collection at Kouvola City Museum. Get ready for a full day of sightseeing on the next day: take a stroll through Linden Esplanade and then find something for the whole family at Tykkimaki Amusement Park. To find other places to visit, where to stay, ratings, and other tourist information, read Kouvola itinerary planner. You can take a train from Helsinki to Kouvola in 1.5 hours. Alternatively, you can drive; or take a bus. In July, daytime highs in Kouvola are 24°C, while nighttime lows are 14°C. You'll have a few hours on the 23rd (Tue) to wrap things up before traveling home.